INTESOL offers an intense 120 hour Online TEFL Course aiming towards the aspiring teachers looking for a successful career in the field of Teaching English as a Foreign Language. EFL teaching can be an exciting opportunity for who has a special heart for teaching and traveling. Regular development in the field of TEFL has increased an insatiable demand for qualified EFL teachers. Teaching English to young learners is an inseparable part of EFL teaching. 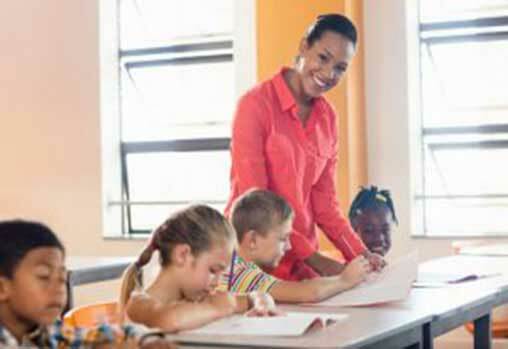 The TEFL course includes module on teaching young learners in order to equip the aspiring teachers with skills required for global teaching career. You will learn methods for engaging students and imparting knowledge among them in the most effective ways. Teaching for exams: Cambridge ESOL, Professional English Examinations, TOEFL etc. Error: looking at authentic student errors, classifying them, using a correction code, producing remedial exercises and improving your own practice. The 120 hour Online TEFL Course will be completed within 6 months of time where aspiring teachers will acquire skills for EFL teaching with a detailed guideline of proven methodologies. Any graduate in any discipline may apply for the course. The delivery method of the course will be completely online. You may avail this course for a reasonable fee of 15,000 INR or 220 USD along with tutor guidance and course material. Accreditation plays an important role in any educational organization as it deals with the quality evaluation and finds out ways for regular improvements. All our courses are globally accredited and certified by ALAP. 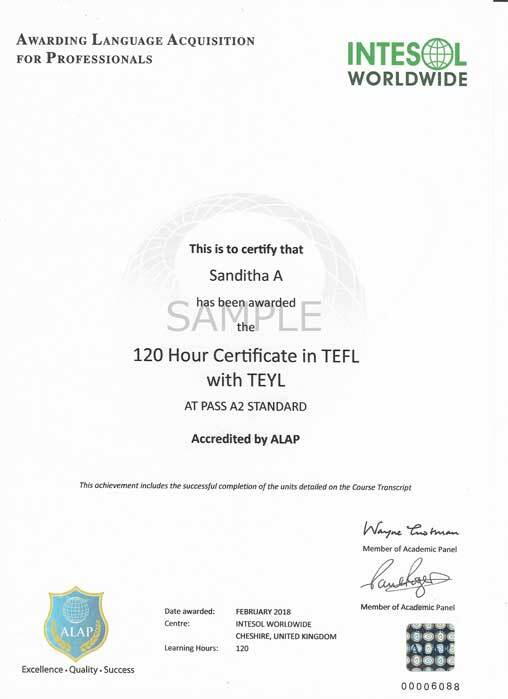 ALAP stands for Awarding language Acquisition for Professionals which is based in United Kingdom. This renowned organization is a supreme institute in the ELT industry and known for maintaining a higher academic quality.